I work at Institute of Robotics and Mechatronics of the German Aerospace Center. I'm a research assistant in the department for Analysis and Control of Advanced Robotic Systems. You can contact me at or . 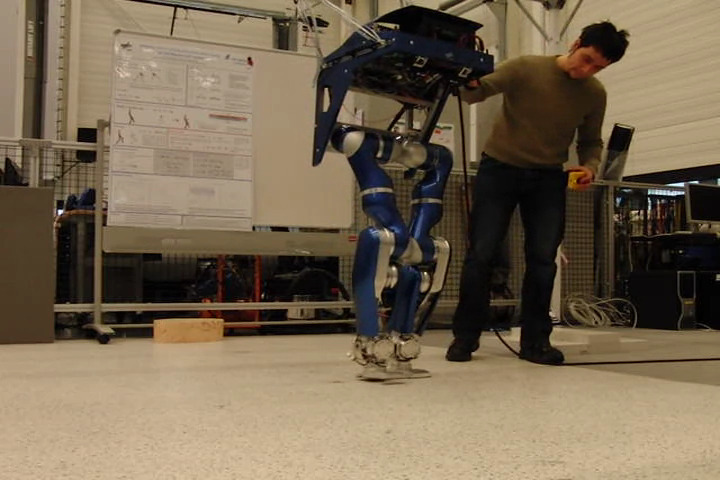 Robust walking on the series elastic robot C-Runner. 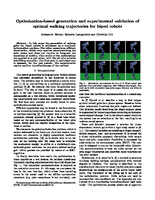 This work combines the use of optimization generated trajectories for walking on series-elastic robots with the passivity based balancing control approach used in other projects. Due to the mechanical robustness of the system, unexpected impacts can be endured and the control scheme allows to robot to tackle obstacles of a height of 25mm and more. Work done together with Henze B, Loeffl L, Leyendecker S, Ott C. Published on Humanoids 2017. 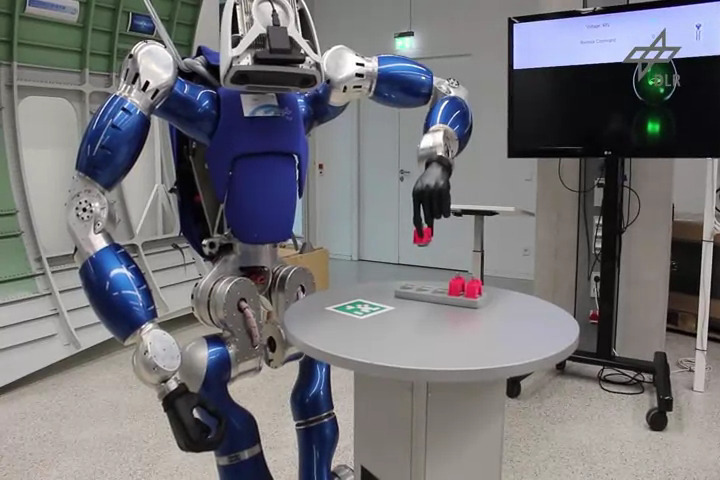 In this demonstration for Project Comanoid (a European Horizon H2020 Project) Toro is using visual servoing to walk up to the table and bring himself into a suitable position for grasping. The pink object (cable mounting bracket) is located at a known position relative to the April tag fixed to the table surface. This location is used to to plan a path which is given to a Cartesian impedance controller controlling the hand motion to grasp the bracket. Toro then turns around to walk up to the airplane part. Arrived there a hand contact is added to extend the reach of the robot to the target location marked by the red square. In the following part the center of mass of the robot is moved outside of the support polygon given by just the feet, making the hand contact a requirement. 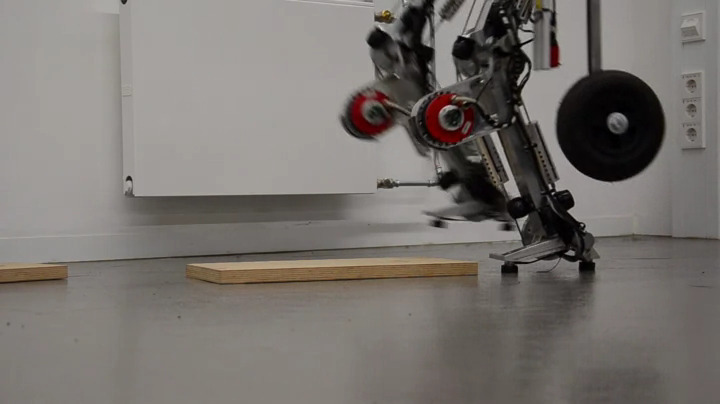 The robot attaches the (magnetic) bracket to the airplane and returns to bipedal contact. The whole process is fully autonomous. This video is unedited and at original speed. 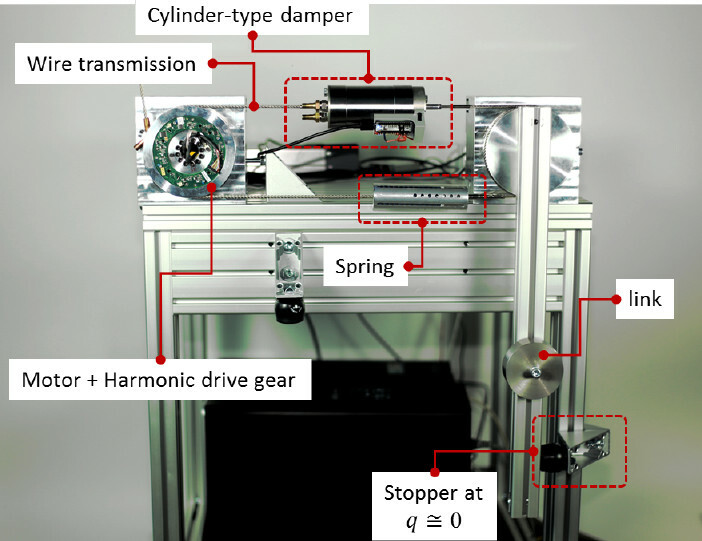 Work done together with Henze B, Porges O, Englsberger, Garofallo G, J, Roa MA and Ott C.
Series elastic actuators with soft springs can provide interesting performance gains over rigid actuation. A drawback is that soft springs also reduce the available bandwidth for controlling the link-side position or torque. This can be remedied by adding a damper in parallel to the elastic element. Work done together with Kim MJ and Loeffl F.
Test setup for new spring damper component. Published at IEEE/RAS Intl. 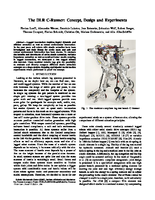 Conference on Humanoid Robots (Humanoids) 2016: The DLR C-Runner: Concept, Design and Experiments - Loeffl F, Werner A, Lakatos D, Reinecke J, Wolf S, Burger R, Gumpert T, Schmidt F, Ott C, Grebenstein M, Albu-Schaeffer A. 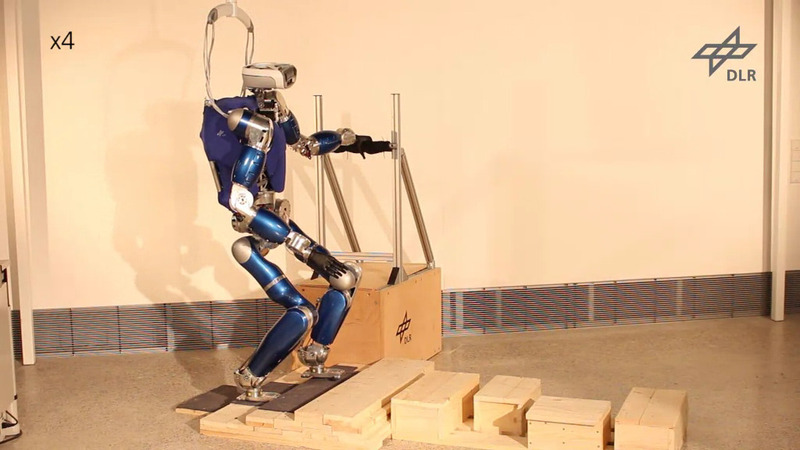 This paper describes the idea behind the new series elastic biped C-Runner. 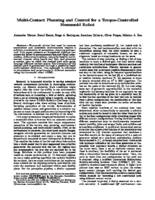 It documents characteristic system properties and shows early experiments. Published at IEEE/RSJ Intl. Conference on Intelligent Robots and Systems (IROS) 2016: Multi-Contact Planning and Control for a Torque-Controlled Humanoid Robot - Werner A, Henze B, Rodriguez D, Gabaret J, Porges O and Roa MA. The master thesis of Rodriguez D was co-supervised by me. Toro is controlled using the Multi-Contact Balancer previously published. The task at hand getting up the stairs is formulated as a sequence of contact pairs. From this sequence, intermediate configurations are synthesized using inverse kinematics. A modified Rapidly-exploring Random Tree algorithm which operates on the manifold of the contact constraint is applied to generate a feasible path. Planning time for this trajectory is approximately ten minutes. The configuration space path is then heuristically converted into a trajectory. The paper also features automatic generation of contact points from RGBD data. The algorithm heuristically explores feasible steps leading from the current contact set towards the goal. The approach presented is applied to foot contacts only. Not published yet: Work with Henze B. Compliant(SEA) Bipedal Robot C-Runner is walking using optimization generated trajectories. The slow speed is attributed to limitations of the feed-back loop used to control the series elastic actuators. The trajectory generation respects all relevant for the link side. The trajectories are locally stabilized using a variant of the multi-contact balancing controller. 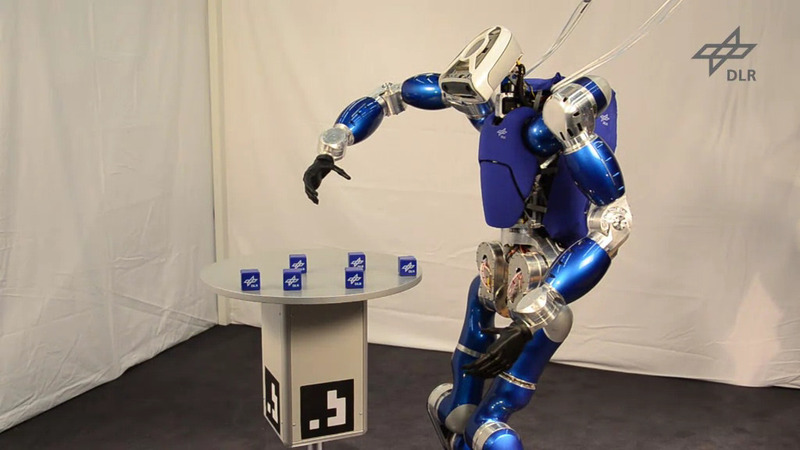 Unpublished: Work with Porges O. Toro walks up to the table using visual servoing based on the April tag mounted on the table. The blue cubes are then located based on RGBD data, from the perceived position one is selected. Even though the redundant part of the robot is used for grasping, not every hand position in SE3 is feasible. From the object position, a number of possible hand positions are computed and then verified against a reachability map. If the configuration is reachable, an inverse kinematic is queried to obtain the associated joint space configuration. Published at IEEE/RSJ Intl. Conference on Intelligent Robots and Systems (IROS) 2015: Generalization of Optimal Motion Trajectories for Bipedal Walking - Werner A, Trautmann D, Lee D, Lampariello R. Trautmann D was supervised by me during his master thesis done in a collaboration between DLR and TUM. 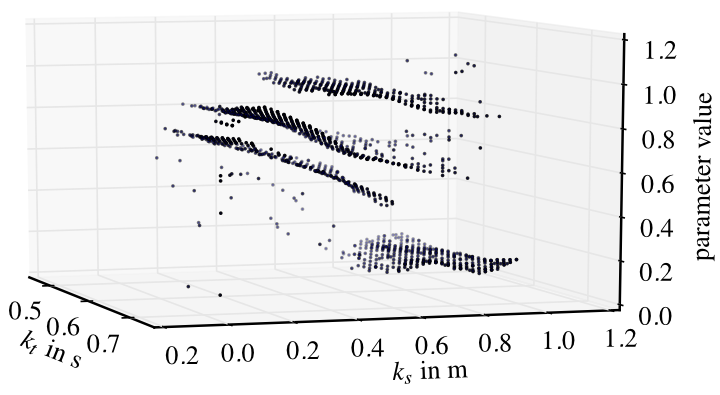 The figure on the right shows the difference local minima of a torque cost-function. This work compares suitable methods for generalization of a set of optimal trajectories and analyzes the errors in the process. Trajectories for bipedal walking are especially interesting with this respect as constraint violations can cause falling of the robot. 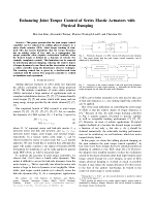 Published at IEEE/RAS Intl. 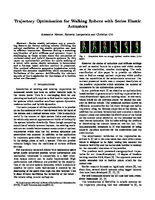 Conference on Humanoid Robots (Humanoids) 2014: Control applications of TORO - Torque controlled humanoid robot - Henze B, Werner A, Roa MA, Garofalo G, Englsberger J and Ott C.
Not published. 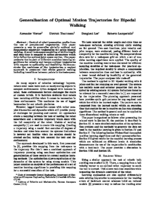 Work with Garofallo G, Turley W, Stoneman S. Starting for a Matlab prototype which implemented an algorithm for computing dynamics matrices, this library was developed. The listed features is combined to a simulation environment. 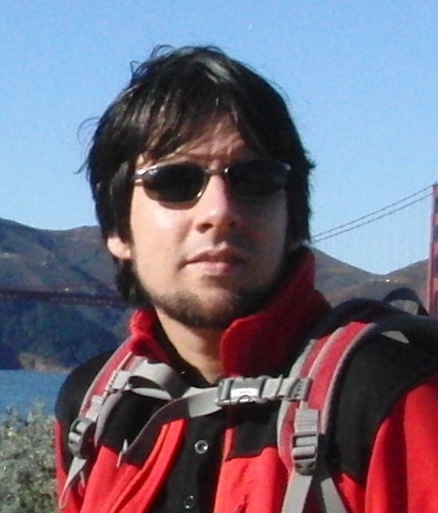 The library is implemented in Eigen, all algorithms are templated and can be used with automatic differentiation. Simulation and on-line dynamics are used in various systems throughout the institute. The library is also the basis for my motion planning works. 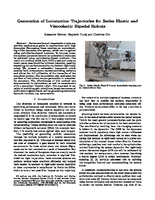 Published in Frontiers in Neurorobotics: Stable myoelectric control of a hand prosthesis using non-linear incremental learning - Gijsberts A, Bohra R, Sierra Gonzalez D, Werner A, Nowak M, Caputo B, Roa MA and Castellini C.
The EMG signals measured at the forearm of the operator are used to drive the prosthetic hand mounted on the robot. 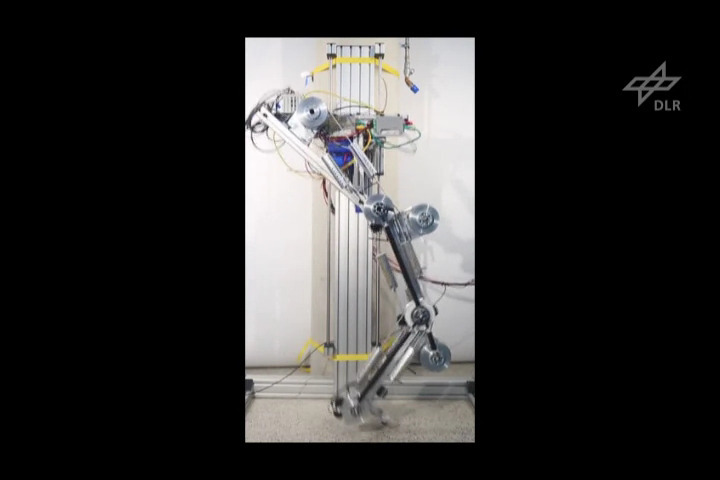 A magnetic tracker measured the 6D pose of the operators lower arm which is replicated by the robot. 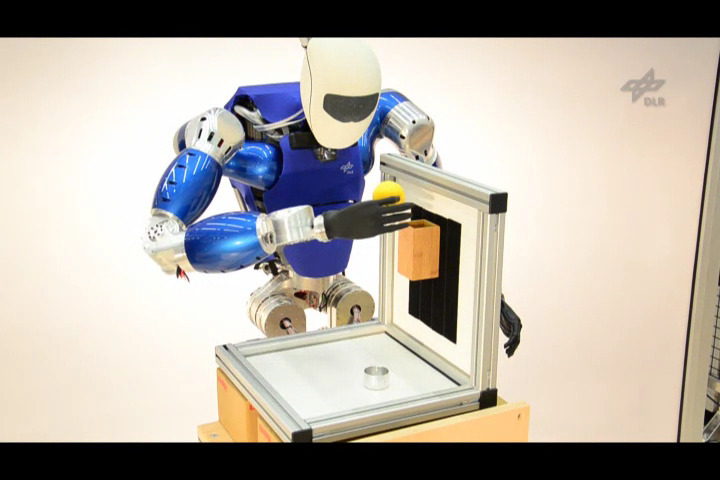 A Cartesian impedance controller is used and the redundancy of the robot is leverage to obtain good tracking. Later a bi-manual variant of this experiment followed. 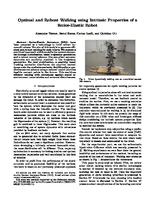 Published at IEEE Conference on Decision and Control 2014: Trajectory Optimization for Walking Robots with Series Elastic Actuators - Werner A, Lampariello R and Ott C. This paper extend the previous work on optimization of trajectories for bipedal walking robots to series elastic robots (SEA). The approach uses a very small optimization problem as one spline function is used to parameterize the link side and the motor side. The video shows an optimized trajectory for an early design stage of C-Runner. The upper body tilt is due to the mass distribution which is not adequately displayed by the visuals. Published at IEEE/RAS Intl. Conference on Humanoid Robots (Humanoids) 2014. Englsberger J, Werner A, Ott C, Henze B, Roa MA, Garofalo G, Burger R, Beyer A, Eiberger O, Schmid K, Albu-Schaeffer A. 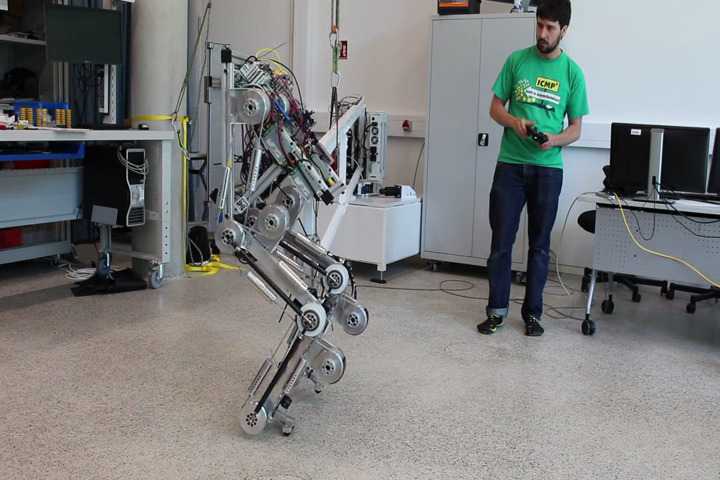 - Overview of the torque-controlled humanoid robot TORO. The paper summarizes the hardware design of Toro. 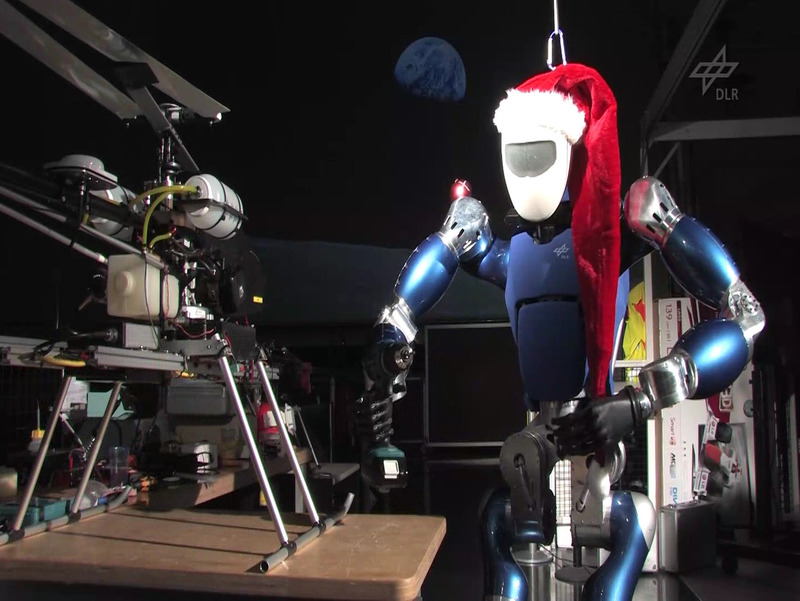 Unpublished (shown at the Christmas party of the institute): Humanoid Toro explores the lab at night. Contributors: Werner A, de Stefano M, Henze B, Radhakrishna R, Porges O, Englsberger J, Ott C, Artigas J and Roa MA. 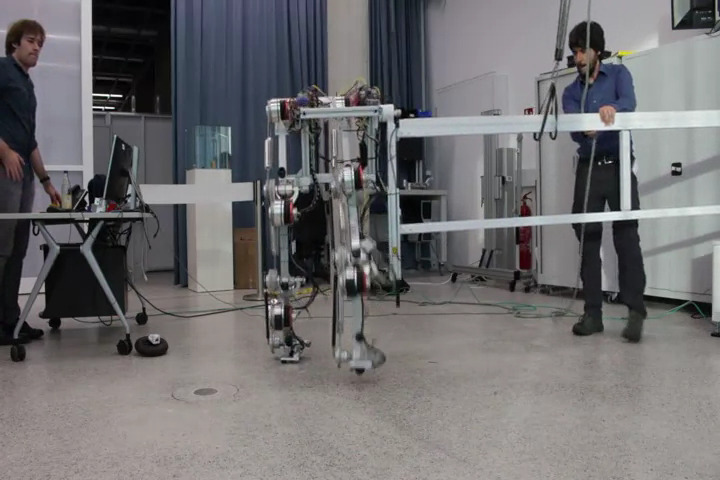 Toro walks and displays first capabilities in tele-operation with force-feedback. Afterwards he opens the gate and frees the locked up robots. Published at IEEE/RSJ Intl. Conference on Intelligent Robots and Systems (IROS) 2012: Optimization-based generation and experimental validation of optimal walking trajectories for biped robot - Werner A, Lampariello R and Ott C. This paper transfers an approach for dynamic ball catching for robots to bipedal walking. This publication sums up the work I did in my diploma thesis supervised by my co-authors.